Abu Dhabi backs high speed train for Morocco with Dh500m - The Maghreb Times ! 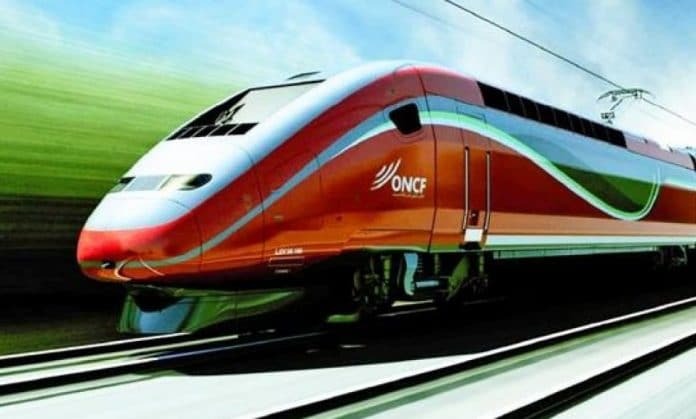 A 200 kilometre high-speed rail link connecting two major cities in Morocco has been bolstered by more than Dh500 million of investment from an Abu Dhabi international development fund. With top speeds of 320km an hour, the train connecting Tangier with Casablanca will reduce travel times between the two key business hubs to just two hours. Existing transit times for the 295km route between the two cities can take up to six hours. An inaugural ceremony to announce the Dh514 million investment by the Abu Dhabi Fund for Development (ADFD) was attended by a high level delegation from the UAE, King Mohammed VI of Morocco and French President Emmanuel Macron. “We are proud of the strategic partnership between the Moroccan government and ADFD,” said Mohammed Saif Al Suwaidi, director general of ADFD. Through linking the two cities, the project will greatly improve regional infrastructure by bolstering the movement of people, increasing nationwide and cross-city trade and tourism as well as driving sustainable economic development. The fund has so far supported 12 transportation projects worth an estimated Dh2.4 billion (US$650 million) to support socio-economic development in Morocco. The Abu Dhabi government has supported Morocco with grants and concessionary loans worth Dh9 billion across 82 development projects spanning diverse sectors, including housing, water, agriculture, education and healthcare. Globally, the fund has invested more than Dh80 billion in development projects across 88 countries.